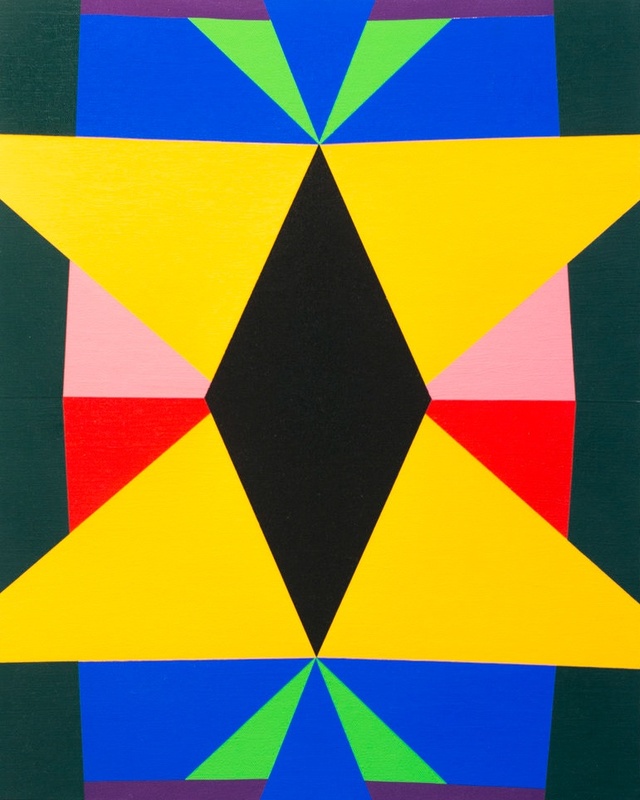 Doug Gray bases his geometric abstractions off Lowe’s paint chips, generating his unique brand of color field painting. 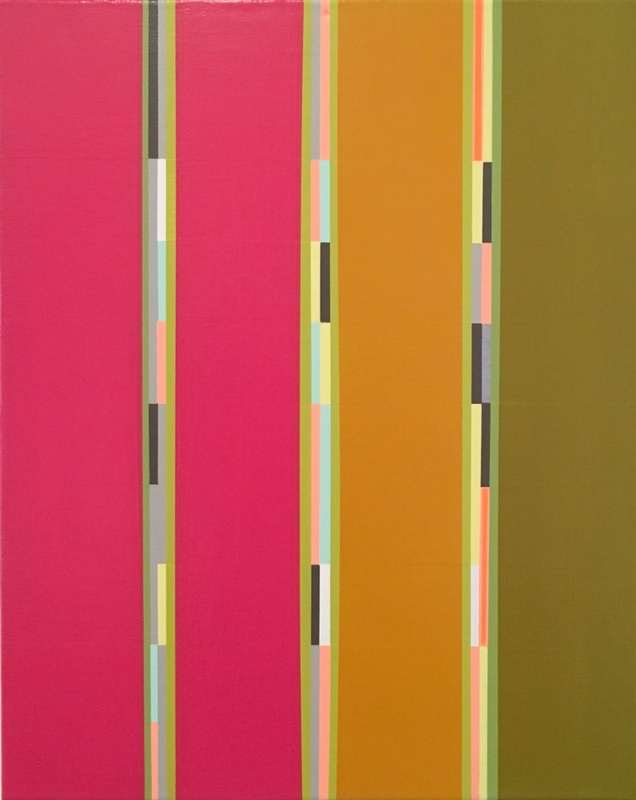 After receiving a Bachelor of Fine Arts from Minneapolis College of Art and Design (1979), Gray began working in the Lowe’s Paint Department, developing an acute sense of color. In a series of painted geometric shapes, he transitions fluidly between hue and saturation, implicating varied weight and complexity within each palette. 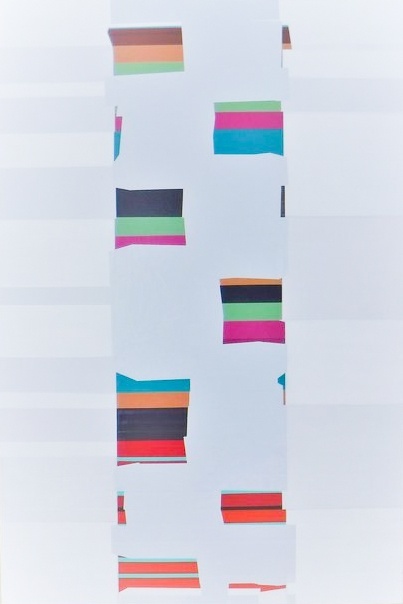 By intricately pairing and arranging colored shapes across the canvas, he pushes the surface’s illusion of dimension. Brilliant reds, yellow-greens, and overlapping greys transform into a patchwork of light, establishing a distinct emotive quality. Gray furthers concepts of passion, light, and energy within his works’ titles, which often describe major life moments and travels. Gray currently lives and works in Richmond.